LAX is now CLOSED as of April 2017. When you purchase a table, instead of standing in a long line of other people waiting for tables (known in the industry as a corral), you’re ushered into a lounge area complete with its own bar, DJ and available seating. The space was previously a private lounge, but seeing the opportunity to heighten the customer experience and utilize a well-placed space, LAX created a new way to accentuate the VIP persona of table service guests. 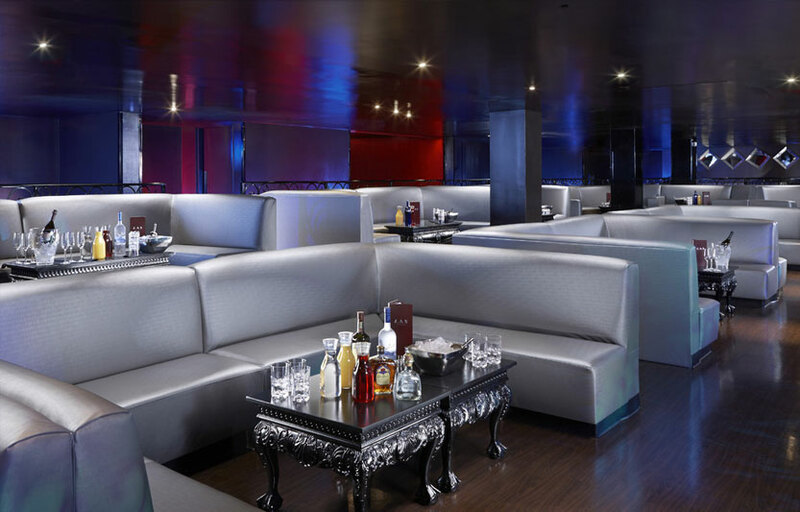 Plus, once your table is ready, you’ll be lead into the club and greeted by servers waiting to take your bottle orders. LAX is never going to be the club that Hakkasan is afraid of. But that doesn’t mean it should be overlooked. And speaking of looking, be careful if you’re a taller person. Parts of the club, especially by the main bar and the private rooms in the back, have rather low ceilings. We don’t want people to bump their noggins on anything other than a headboard. This is definitely not considered a high end venue – but you’ll be able to get some better deals at LAX. Bottle prices and drink prices are both on the lower end as far as clubs in Vegas go. Where is LAX Nightclub located? LAX Nightclub is located inside the Luxor (the pyramid) hotel at the south end of the strip. How much is cover charge at LAX Nightclub? General admission at the door is usually $10 for ladies, $20 for guys. How long will I have to wait at LAX Nightclub? You’ll usually have to wait about 20-30 minutes to get into LAX. When is LAX Nightclub open? 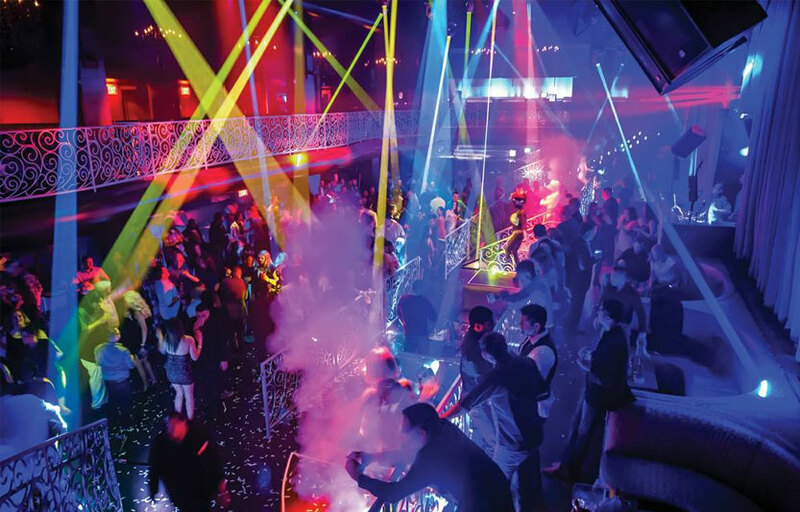 LAX Nightclub is open from 10:30 to 4 AM on Thursdays, Fridays, and Saturdays. What are the best nights to go to LAX Nightclub? Fridays and Saturdays feature the best talent and will typically be the busiest. What is the dress code at LAX Nightclub? Unless you’re getting bottle service, better to err on the side of caution. Collared shirt / jeans / dress shoes for guys. Avoid anything that can be considered sportswear (track jackets, jerseys, sneakers, hats, etc). If you are getting bottle service you will have some more leeway. But in general it’s better to be safe than sorry. How much do drinks cost at LAX Nightclub? Beers start at $10, mixed drinks from $10. Bottles start at $395. 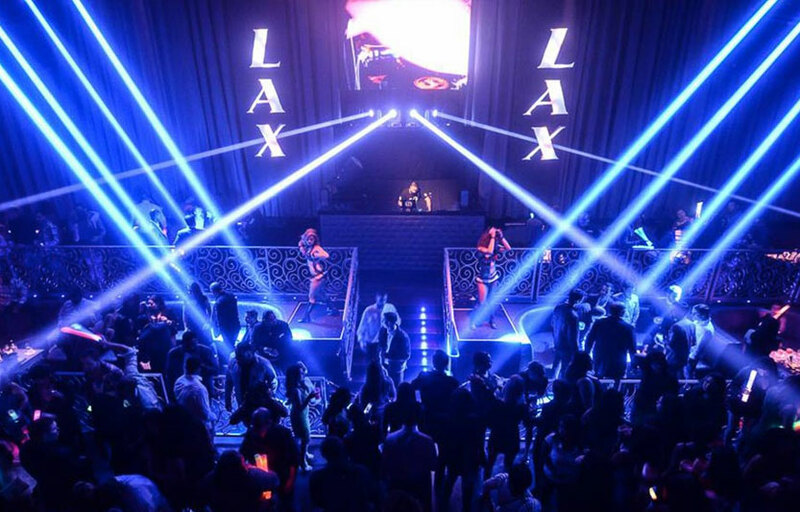 LAX Nightclub primarily features local DJ talent. What kind of music do they play at LAX Nightclub? LAX Nightclub plays primarily hip hop and top 40. Where can I find an list of upcoming events / DJs at LAX Nightclub? You can download the Discotech app to see upcoming events, get on guestlists and book tables for LAX Nightclub. You can also visit LAX Nightclub’s website for a current list of events.